Akron Promise publishes first video seeking mentors. 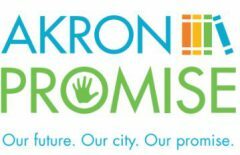 Today, Akron Promise has launched a social media campaign to recruit 25 new mentors for students at Kenmore-Garfield High school in Akron. Our objective with this program is to assist these students with identifying their post high school objectives AND help them reach their goals. To sign up, fill out the form available on this page. Next Next post: Akron Promise Announces Kenmore-Garfield Stark State College Scholarship!